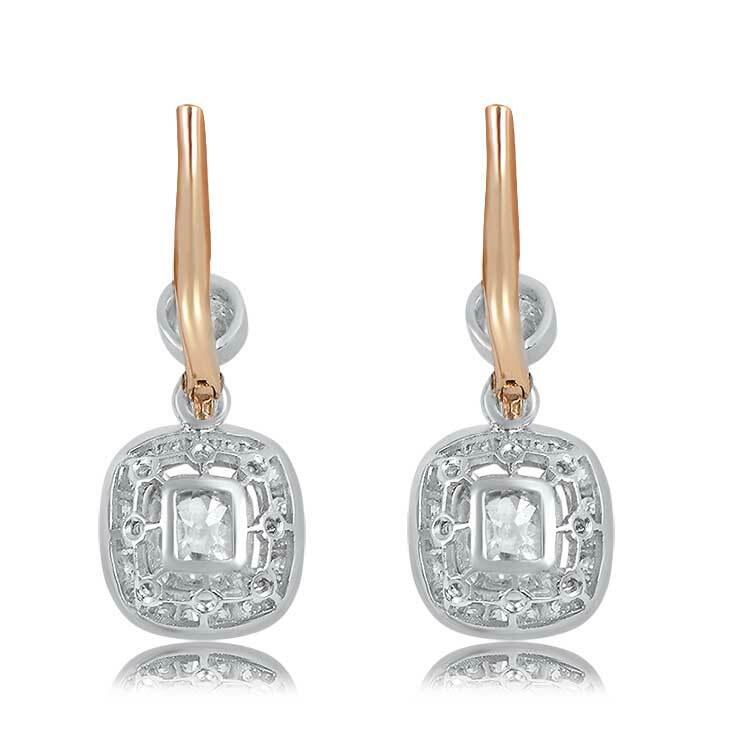 A charming pair of halo earrings that center two antique cushion cut diamonds with a approximate weight of 1.20 carats. 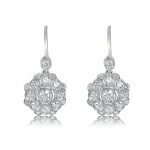 Surrounding the center antique diamonds is a row of antique full cut diamonds. 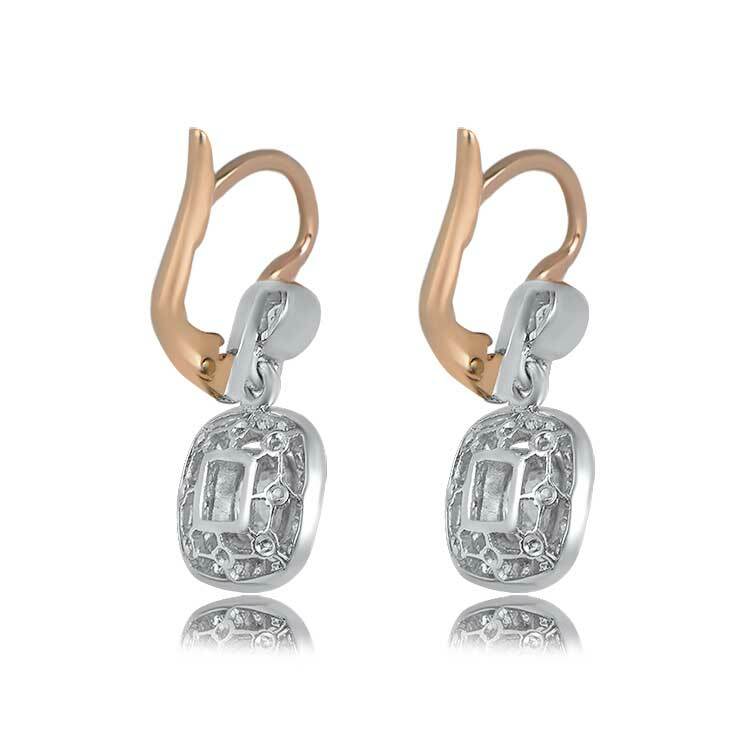 The bottom section is attached with a chain mechanism which allows movement for the earrings. The top section has two bezel set diamonds. 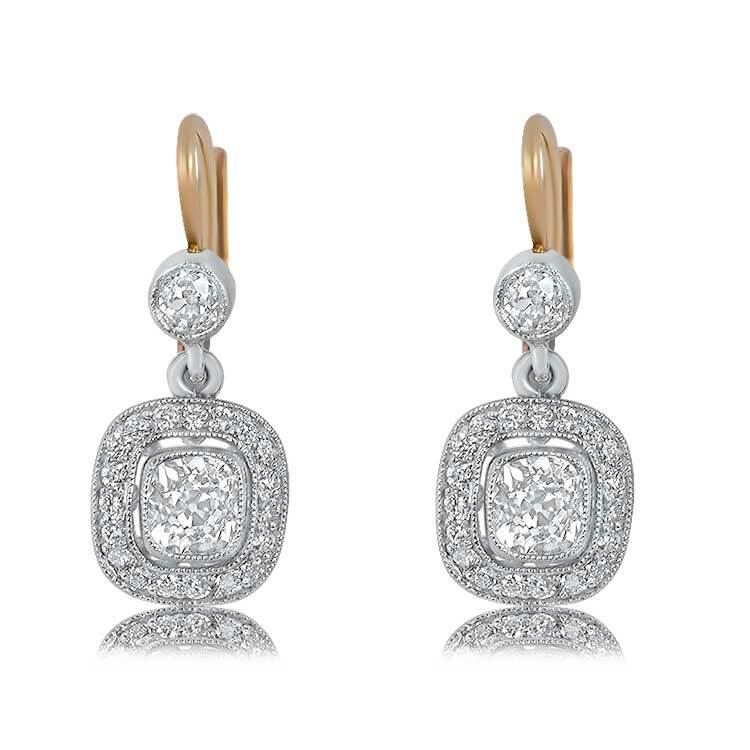 The diamonds around the halo and top bezel have a total approximate weight of 1.10 carats. 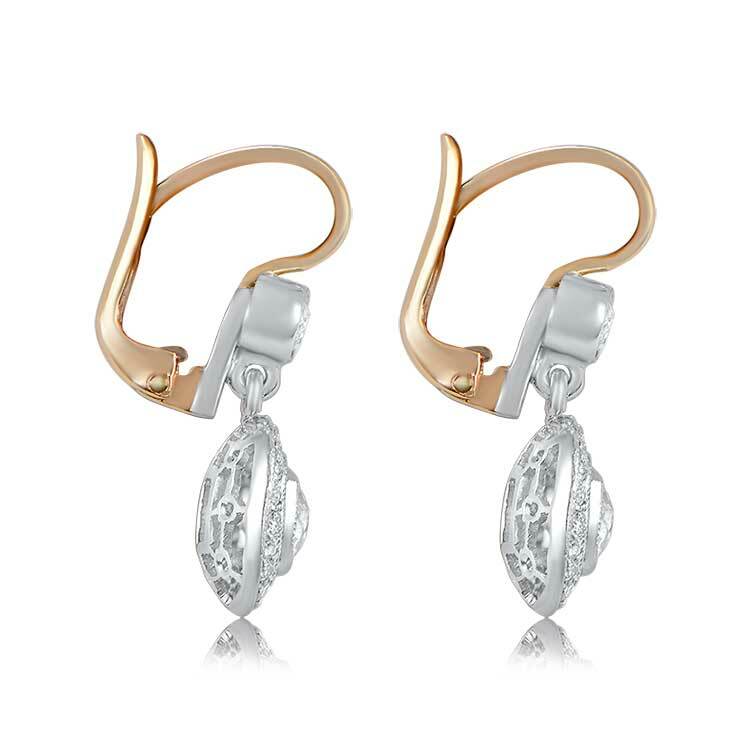 These earrings are platinum and 18k yellow gold. 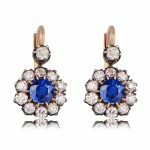 SKU: gs523 Category: Vintage Earrings - Contact us and request additional pictures.